The exhibition of the painter Luis de Morales’ work is making its third and last stop on its tour at our museum. 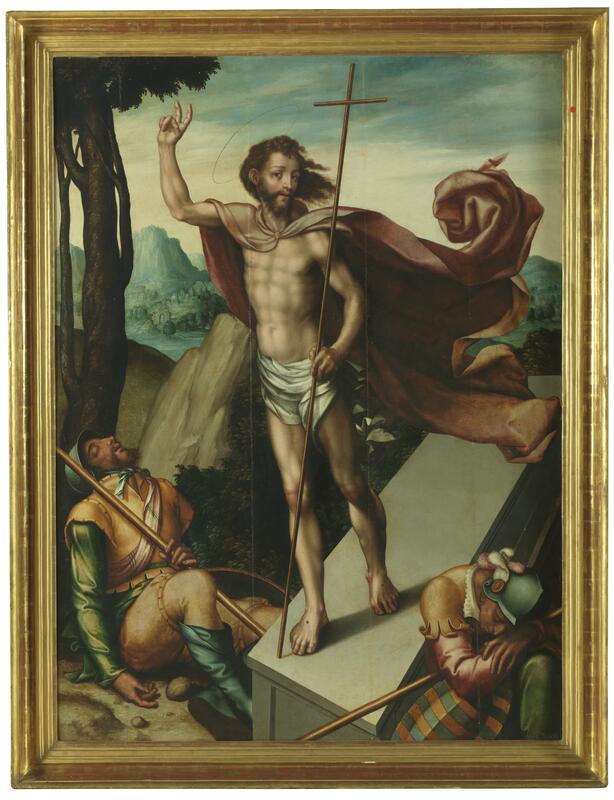 Organized in collaboration with the Museo Nacional del Prado and the Museo de Bellas Artes in Bilbao, where it has already been seen, it will remain open in Barcelona until 25th September 2016. 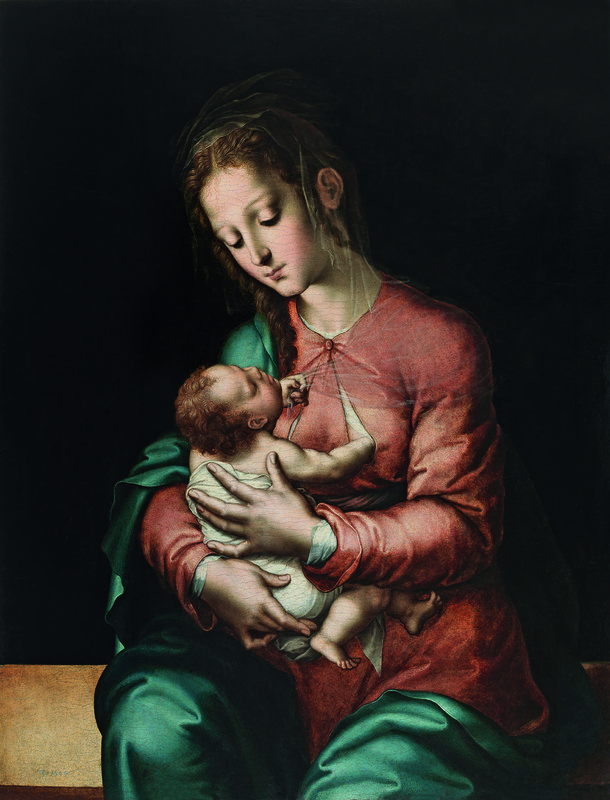 At the press conference held in Bilbao, Leticia Ruiz, curator of the Museo Nacional del Prado and the chief curator of the exhibition, said that Morales was an artist representative of Hispanic painting in the 16th century but, up to now, the painter had been studied partially and was rather unknown to the general public. Who was Luis de Morales? Morales was a 16th-century painter born in the old kingdom of Castile, who worked in Extremadura and nearby; he also did commissions for anonymous clients in Andalusia (especially Seville), Castile (above all Zamora) and Portugal. In his lifetime he was very successful, and he remained famous after his death, because Francisco Pacheco (1649) praised his art. His painting, done with a delicate technique, was based on a precise drawing and the presence of metallic colours with Mannerist echoes. The faces have gentle features and the skin is spotless. Why was he called “the Divine”? Any marketing manual refers to the importance that the name has for a company. In actual fact, Luis de Morales’ name is not very commercial. Other artists of the same period, of a similar category, have a less common name than his and, for this reason alone, they register more in the collective imagination (I am thinking of Damià Forment or Joan de Joanes – whose real name was Joan Vicent Macip). Morales, however, has another handicap, a most ambiguous nickname: “the Divine”. He was not divine in the way that Ludovico Ariosto and Giorgio Vasari spoke about Michelangelo, who with his artistic creation seemed to be emulating God. Morales’ divinity, as Antonio Palomino (1715-1724) said, is based on that fact that everything he painted was on a sacred theme. This religious aspect has been heightened in the 20th century by the use and abuse of his work in religious picture cards, illustrations and stamps, very popular with the people. Despite the iconoclastic discourse towards sacred images that currently prevails in part of Spanish society, the phenomenon must be contextualized on the basis of the tastes of the clientele in the period of the Renaissance. The painter did works of great simplicity with encouraged veneration. Morales interpreted his paintings expressively and profoundly dramatically, making the figures’ expressions very emotional. This kind of devotion was close to the spirituality being advocated by mystics such as Brother Luis de Granada, and it anticipated the theories of Gabriele Paleotti in the Discorso intorno alle immagini sacre e profane (1582), with which he wanted works of art to stimulate feelings of piety in the observers. His poetics were nourished by the Flemish tradition and Italian-style models, which he visualized without ever having visited Italy, through engravings and some works that reached him. Many of his paintings are versions of compositions by other masters, something that denotes the great amount of information that he had about the new developments in art in that period. His works reflect the knowledge of paintings and engravings by Flemish and Italian artists, as well as the work of Alonso Berruguete. Morales always painted on wood, especially on oak, but also on walnut and chestnut. He developed two types of work: large format and small format. 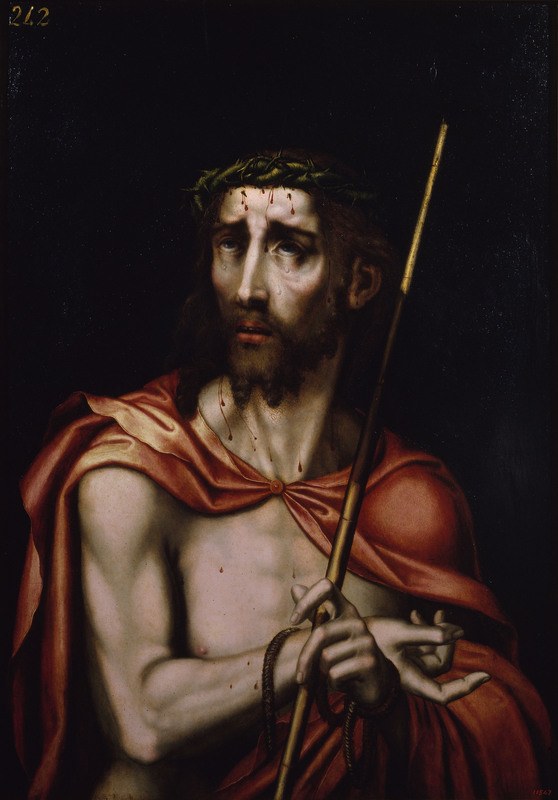 The large-size works were conceived to be part of altarpieces in churches. They had complex narrative episodes, a landscape background and many people in them. The small ones were destined for devout functions in private oratories, paintings to be seen up close that are a single panel or a triptych. Only the essential characters appear in them (often depicted only by the bust) and the backgrounds are darkened. In these small panels, the main theme is tenderness or suffering. Tenderness is capitalized by scenes of the Virgin with the Child in all possible variations: the Virgin of the Milk, the Gypsy or the Hat; in which the Child is writing; in which the Child is holding a spindle or an X-shaped cross; in which the Child is holding a bird (an oriole), or in which they are accompanied by a member of the holy family. 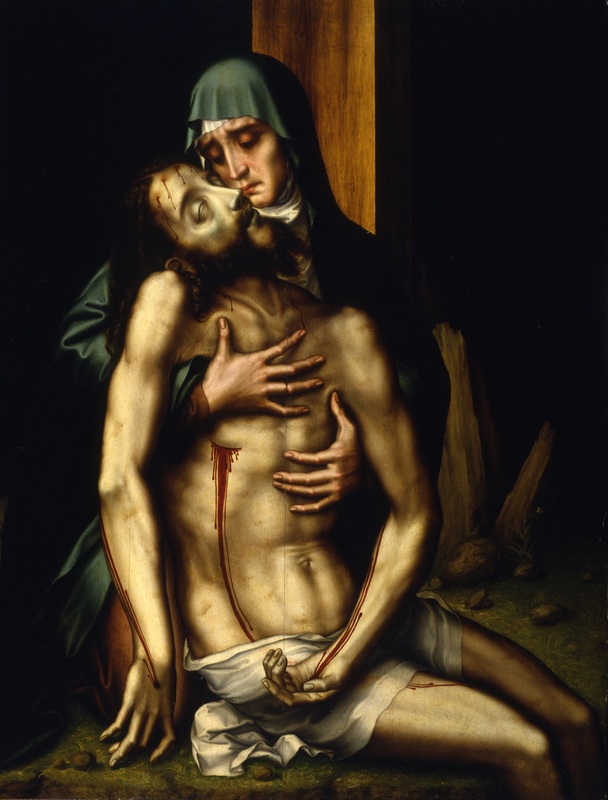 The suffering is centred on the Passion of Christ –whether through the Ecce Homo, Christ with the Cross, or the Pietà– or the martyrdom of a saint. The iconography becomes innovative because it distorts the facial features of the figures, making them express intense emotions. These are values of great aesthetic quality that go well with the creative discourse of contemporary art. There are 54 works in the exhibition at the Museu Nacional, the great majority of which have never been seen in Barcelona. 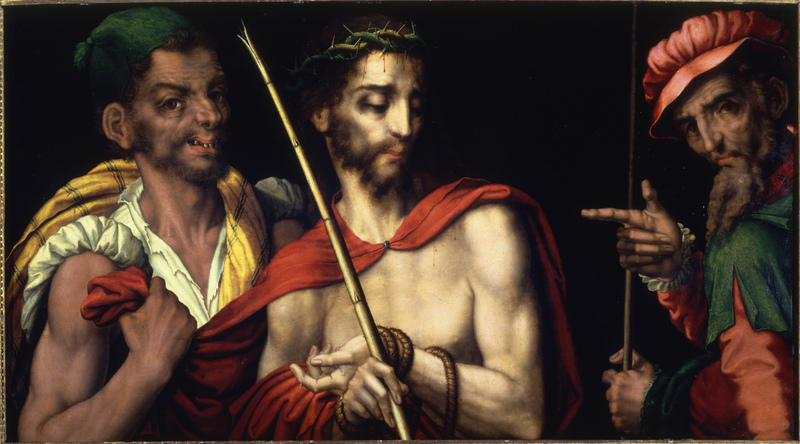 Two are from the museum’s collection: an Ecce homo and a Christ carrying the Cross. 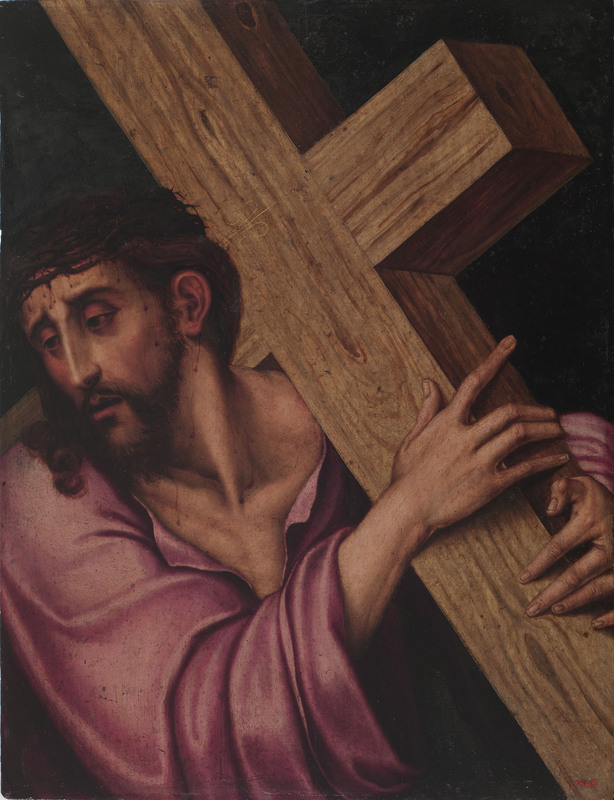 The latter work has been kept in the museum’s storage rooms for decades, and for the exhibition it has been restored, studied and compared with the rest of the painter’s work.